For more comments and translations, check out Glitterberri’s dossier here and here. 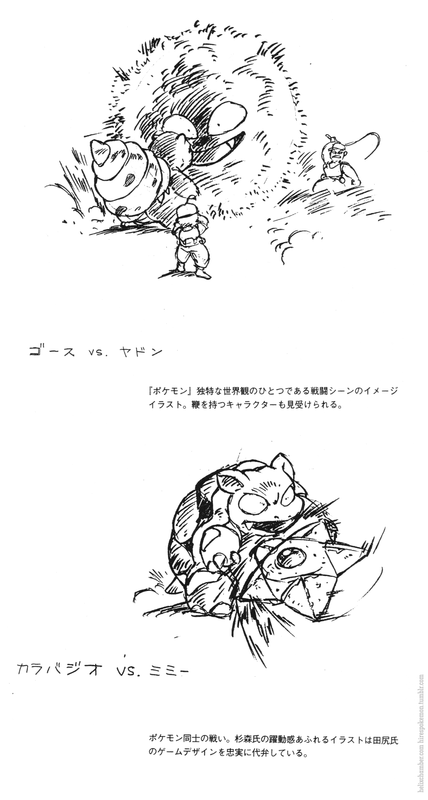 Only the hand-written captions come from the original Capsule Monsters; the other ones are from the book “Satoshi Tajiri, the man who created Pokémon“. Check out our Lost Pokémon dossier for more info about the proto-Pokémon.